In 1815, French physician René Laënnec found himself in a dilemma. He needed to listen to his patient’s heartbeat but didn’t want to press his ear against her chest. Instead, he rolled up his notebook into a tight cylinder and listened through it instead— thus, the world’s first stethoscope was born. The simple stethoscope has since revolutionised the way physicians listen to their patients’ bodies, its widespread use evident in its presence around nearly every doctor’s neck. Fast forward to the 21st century, Dr. Dornoosh Zonoobi is looking to create a similar milestone in medical technology. Her company, Medo, is developing technology that will allow doctors to see—rather than hear—and understand what is going on inside a patient using ultrasound. Though extremely powerful, the effectiveness of an ultrasound is hindered by the expertise needed to interpret the images. To overcome this, Dr Zonoobi, a research scientist with over a decade’s experience in medical imaging, and her two Medo co-founders devised an algorithm that uses machine learning and cloud computing to make ultrasound imaging easy to interpret and use in disease diagnosis. A Singapore-based startup, Medo is one example of how deep technology—transformative technologies based on radical engineering innovation or scientific breakthroughs—is changing the face of medical imaging and healthcare today. “I honestly believe that AI and other technologies are going to impact healthcare and revolutionise the way we think,” says Dr Zonoobi. “It’s only a matter of time before someone invents Star Trek’s medical ‘tricorder’”, she says, referring to Dr McCoy’s handheld device that could quickly scan a patient to diagnose all manner of medical conditions. Testing was non-invasive, and the results were near-instant. Today, deep tech is making such devices appear less science fiction, and more like reality. The inspiration for Medo came three years ago when Dr. Zonoobi was working at a hospital in Edmonton, Canada. She was helping radiologists scan babies for hip dysplasia, a congenital condition that leads to higher risk of hip dislocation. The condition is easily detected via an ultrasound scan, and easily treated if discovered early. She teamed up with radiologists Dr. Jacob Jaremko and Dr Jeevesh Kapur, and found a way to allow those on the frontlines of patient care—such as family physicians, emergency room doctors, and ambulance staff—to take ultrasound images, upload them to the Medo cloud, and receive a suggested diagnosis in real time. Medo’s technology uses images taken from different angles to create a 3D model of a baby’s hip. This is then run through an algorithm that compares it to thousands of other images to determine the likelihood of the baby having hip dysplasia. The company has just begun a clinical trial at the University of Alberta, Canada, with the aim of evaluating ultrasound scans taken by people who have no experience using the device, to determine how user-friendly Medo is. This follows a three-year trial, completed last July, which proved the technology’s efficacy and accuracy at detecting hip dysplasia. Ultimately, Dr Zonoobi wants to expand Medo for use in detecting other conditions. 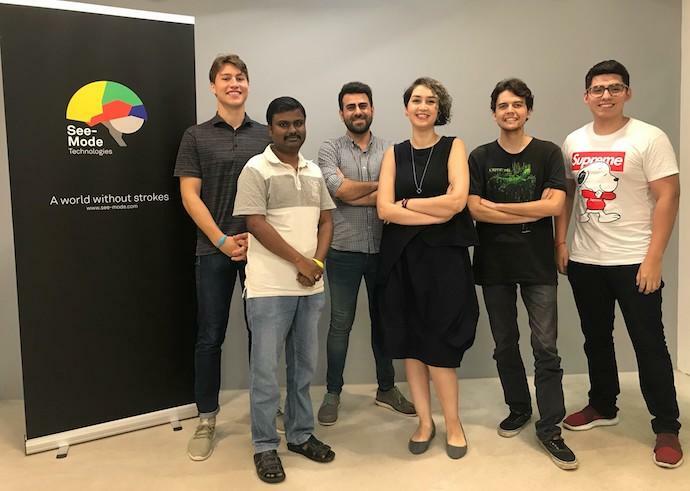 Also employing deep tech to change the face of medical imaging is See-Mode Technologies, a Singapore-based startup tackling the issue of stroke prediction. Stroke, which occurs when blood supply to the brain is interrupted, is the second cause of death in the world. It affects nearly 7,000 people in Singapore every year, leaving more than half affected dead or disabled. That’s because the risk of stroke is not just determined by how narrow your vessels have become due to the build-up of cholesterol plaque, but also by how quickly blood flows through the affected vessels. 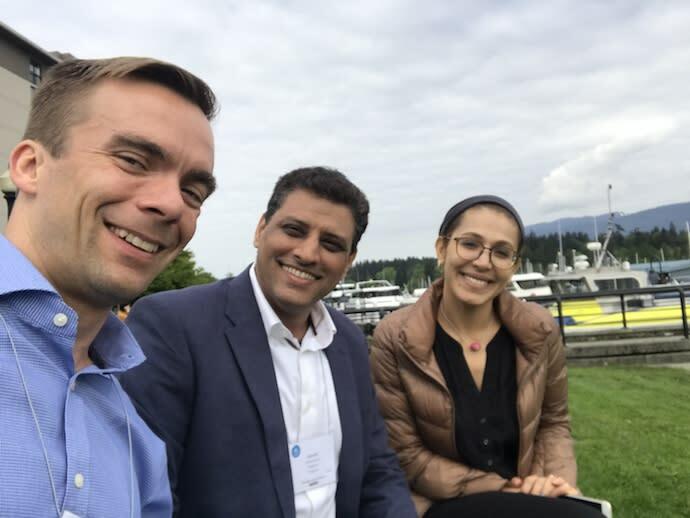 To model these factors, Dr. Mohammadzadeh and his co-founder, Dr. Sadaf Monajemi, looked to their backgrounds in fluid dynamics and AI, respectively. The pair and their team built a multimodal image analysis software that detects risk factors for stroke based on medical imaging. See-Mode can be applied to ultrasound, CT and MRI images—the most common tools used by neurologists to assess stroke risk. The programme takes ultrasound images of blood vessels, analyses them for plaques, flags potential problem areas and generates a report for healthcare professionals to verify. The analysis happens in under ten seconds—a massive time-saver for sonographers, who typically take 30 minutes to go through each scan. For CT and MRI scans, See-Mode applies a combination of computer vision and computational fluid dynamics to model blood flow through the vessels. Initial results from their first clinical trial, involving over 1,000 images, look promising, with See-Mode correctly detecting and analysing plaques with an accuracy of over 90 percent. A second clinical trial, involving more than 400 participants, is aimed at stroke prediction using computational fluid dynamics. Eventually, the pair hopes to expand See-Mode to diagnose other conditions, such as peripheral vascular disease. The transitions from being scholars to entrepreneurs were not easy for the founders of either companies. Both Medo and See-Mode emerged out of Entrepreneur First (EF) Singapore, an accelerator programme geared towards building deep tech startups. Joining EF Singapore’s 2017 cohort proved pivotal for both companies, say their founders. “Before joining EF, we didn’t know how to build a startup. We are all researchers, so it was a very steep learning curve for all of us,” says Dr. Zonoobi. “But EF has been a very good experience—it provided us structure, connections and advisors who were available every step of the way. I really don’t think Medo would have been possible without it; it would have stayed as a nice research project in hospitals. Dr. Mohammadzadeh agrees. “It was a very big learning experience, especially for someone like me coming straight out of academia with little industry experience.” EF made that first foray into entrepreneurship easier, he recalls, by helping See-Mode find the ‘right’ problem to tackle, learn business lingo and the ropes of commercialising a product, and raise funds. EF, and more recently SGInnovate, also introduced them to potential partners and helped raise the company’s visibility. We know that medtech innovations often require long gestation periods and heavy capital outlays. At SGInnovate’s inaugural Deep Tech Summit on 18 September, we will be discussing the challenges, opportunities and key success factors for enterprises seeking to build their go-to-market strategies in the medtech space. Join us in changing our world with tech and research. The post When deep tech helps doctors see clearer appeared first on e27.